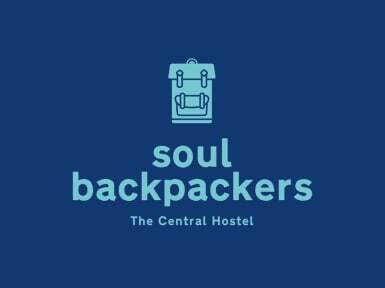 Welcome to Soul Backpackers! 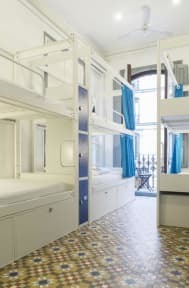 if you're looking a quite, clean and central location Hostel in Barcelona, this is your best option. For this 2018 we got a brand new bunkbeds, because we like to sleep as well! A new bunkbeds with curtain, a light and a plug to have more privacy while you're sharing a dorm. In addition, we have installed access controls on doors and rooms, because we care about the safety of our guests. - Fully equipped kitchen with a beatiful oven to make delicious pizzas. There is a big supermaket just next to the hostel, so feel free to use our kitchen to make your meals. - Free Wifi throughout the hostel !! - Free walking tours every morning! - Reception open 24h and good vibes all the time. Great location! It’s near rambla de catalunya and metro is only 3 minutes walk. The staff is really friendly and they maintain the cleanliness regularly. The kitchen is good, Wifi is great, they have limited shower and WC, but I didn’t had to queue during my stay, so everythings good. Definitely a great choice for a budget friendly hostel! I really loved this hostel! The staff were kind, happy and didn't mind taking the time to chat or answer questions. The beds were comfortable enough (though they were the squeaky metal kind). No personal light or plug, but who cares... I'm there to sleep. Nights would be a bit noisy until 11:30pm or so, but that's what earplugs are for. Love having a full kitchen! Lockers were small, but everything felt very safe: 24/hour reception and key coded rooms. I'll be back! Great place to stay cant fault it, not for if youre looking to party although the staff are extremely friendly! I loved my stay here! Everything was very chill, the staff was very nice, 20 min walk away from the Sagrada Familia. The rooms were nice and clean. I enjoyed my stay here. Great location! The hostel was conveniently located in proximity to several metro stops. Manager was very friendly and welcoming. We stayed in a 3 bedroom female room and had more than enough space for everyone. Fair for the price we paid. Shower was hot and clean and we enjoyed the terrace. Only thing, you have to get buzzed into the building. I am a hard sleeper, so I was not bothered by the sporadic phone ringing through the night at the front desk to get let in. Nice property in great location with a nice big terrace. The beds with the curtains have flexlight and charging outlet within which is nice and private. Luggage lockers and valuables lockers in the room. It has all the elements of an excellent hostel stay for the non party traveller. Hot Showers with good pressure. Comfortable beds, user friendly kitchen, wash lines, friendly staff 24 hours security entrance. I just needed a place to sleep while visiting friends in the city so I didn’t spend too much time at the hostel, but it felt clean, had warm showers and my bed was comfortable. The staff were very welcoming as well. Would definitely stay again! No real common rooms and the hostel isn't too big, so there's no real "Hostel feeling" On the other hand it is quiet, there's everything you could need and staff was very friendly and helpful! Location is 10min walk to Plaza Catalunya. Atmosphere could be better. No activities. The terrace is closed at 23:00. It's not quiet at night. Visitors have to ring at the door before they can get in. So you'll hear the ring very often at night. Also the old doors make a hell of a noise. Most of the staff is very nice and friendly. We only had one unfriendly staff member. He didn't even say hello when you said it to him. He was more bizzy with his girlfriend he took with him at his shift. I hate leave a bad review but unfortunately I wouldn't recommend this place. Apart from a good location and fair price this hostel doesn't have much going for it. The kitchen is old and tiny and can only fit 2 people at once cooking. Also the showers and toilets are tiny making it very difficult to wash etc. and to make it worse they're out use after 11pm which kinda seemed ridiculous after a night out when all I wanted was a glass of water and a wash.